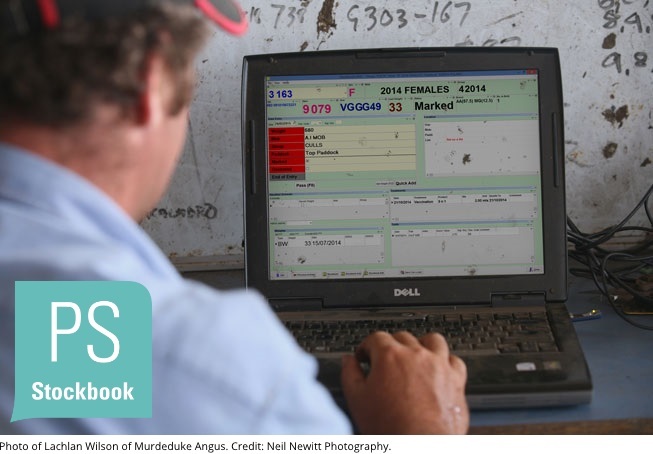 Collect data in the yards using Stockbook Live Connect your eID reader and scales to your computer. Key selection information is immediately available. Our staff have a unique understanding of the Australian agriculture sector including business performance, EID equipment, and the sheep and beef industries. One important tip before you purchase our livestock management software Stockbook, is to set goals and know what it is you want to achieve before buying software and hardware. It’s about delivering improved livestock profitability. 1. How will I save time? Collect data in the yards! Connect your EID reader and scales to your computer. Key selection information is immediately available. Data from EID readers and scales can be imported after handling. Interact with third parties, ie Breed societies and the NLIS database. Please note if you are a participant with Lambplan / MerinoSelect you do need to conduct transactions with an approved platform. Our livestock management software PS Stockbook, can be used for manual or automatic drafting. Identify and draft selected animals, no need to “mark” animals. Produce a range of reports that will report your profitability. Self – check NLIS database records, (especially important if you are sending animals to an EU market). 2. Why will Stockbook and individual animal management save money? 3. How will Stockbook make me more money?